The recruitment examination has been scheduled to be held on 31-05-2012 and 01-06-2012. Relevant details will be available in due course. 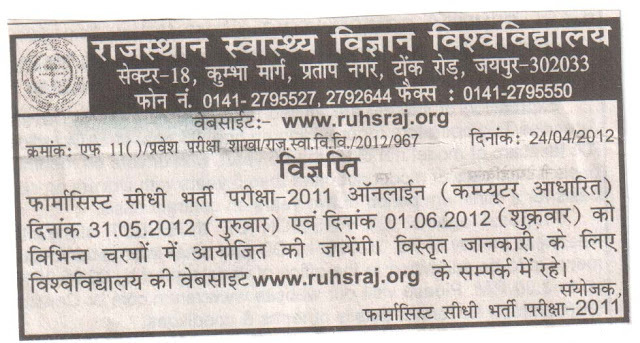 Pharmacist Batch starting from 27th April 2012. "इक्वी परसेंटाइल फॉर्मूला" sir, ye kesa formula hai?